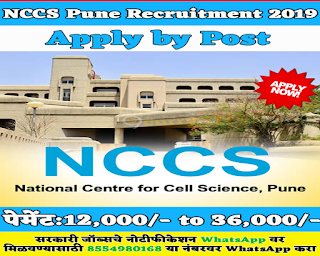 National Center for Cell Science has published an official notification for recruitment of 09 posts of Research Associate, Senior Research Fellow, Junior Research Fellow, Technical Assistant, Facility In – Charge. Interested and Eligible candidates who wants to apply for these posts submit their applications below given address before 18th January 2019. 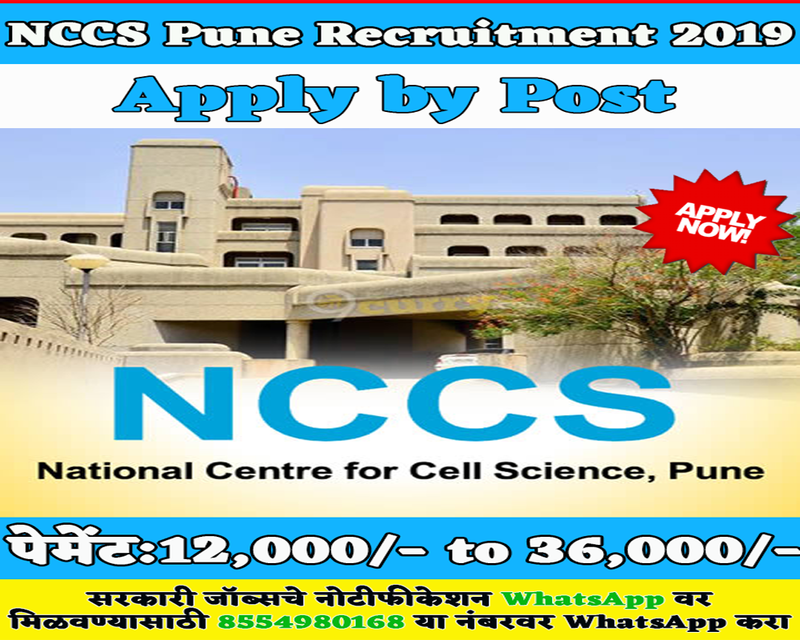 For more details like age limit, salary, how to apply, selection process please refer the below article. The maximum age limit for this post is 35 years. Rs. 12,000/- to 36,000/- + 30% HRA pm payable as a salary. Applications will be accepted as per the format attached to the advertisement only. Send the fully filed application form on below given address with all the documents prescribed departmental advertising PDF.